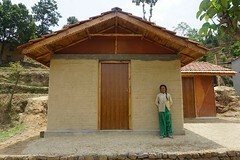 Our mission is to catalyze sustainable, effective change from the inside in Nepal. We identify local individuals with initiative, and we support them with strategic small grants to foster new projects, develop required infrastructure, cover gaps in garnered funding, and sustain momentum at critical junctures. Having a positive impact in a country like Nepal requires long-term commitment, personal involvement, and a vision–which is why our focus is on people. Supporting individuals who take action in their communities means supporting change on a personal level. Connection with people and with purpose brings meaning to our lives…and hopefully yours, too! 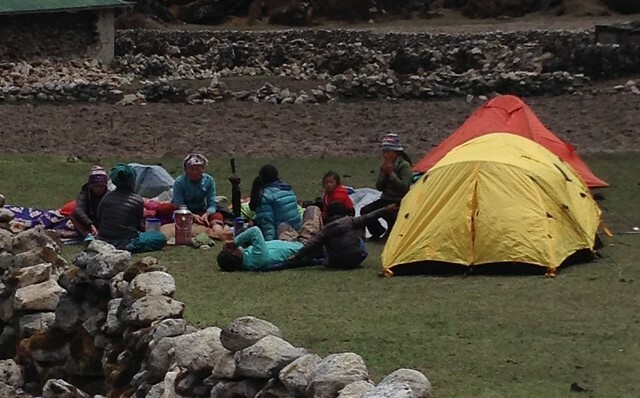 We invite you to join us in changing lives in Nepal. Our projects are built around individuals who are motivated to make change in their communities. We provide money get innovative ideas started or to cover gaps in funding, with a focus on long-term, self-sustaining improvements in income generation and education. 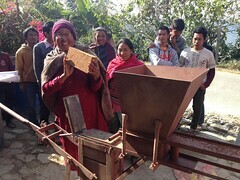 Rebuilding Nepal: Supporting post-earthquake reconstruction with innovative natural building methods and also improvements in more typical stone masonry. Organic Cash Crops: Creating economic independence, self-reliance, and locally-owned organic micro-industries for farmers. Children’s Home: Providing a home, an education, a family, and a future for abandoned and orphaned children. See the children! School Improvements: Renovation of kindergarten classrooms, completing partially-constructed classrooms, bringing computers to remote schools. Buddhist Nuns: Gifts of solar or gas cookers that allow Buddhist nuns to pursue their religious studies more regularly and conserve precious firewood and forests.